First trailer for the upcoming Churchill biopic. A few weeks ago we saw Brian Cox portray Churchill in...well, Churchill. 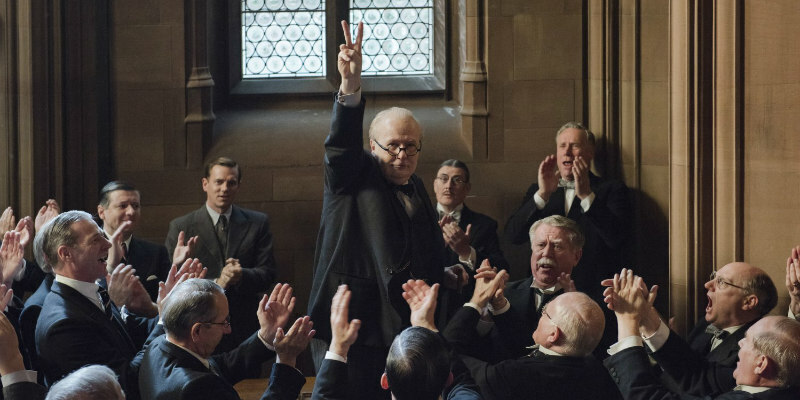 Next January we'll see Gary Oldman give us his take on the iconic leader in Darkest Hour, directed by Joe Wright. While the Cox movie was set at the end of WWII, this one appears to take place at the beginning of the conflict. Expect Oldman to figure heavily in the awards season conversation.